The trends in bathroom design are always evolving. Revamping a bathroom, however, can be more of an undertaking than other parts of a home, as bathrooms often require some element of reconstruction. Because of the amount of work that goes into revamping this space, bathroom renovations usually take place no more than once every 5-10 years. It is therefore particularly important for homeowners to design a space they genuinely love. A bathroom's design typically reflects that of the rest of the house. This room can be a subtle nod to one's individual style or take aesthetics to the next level. 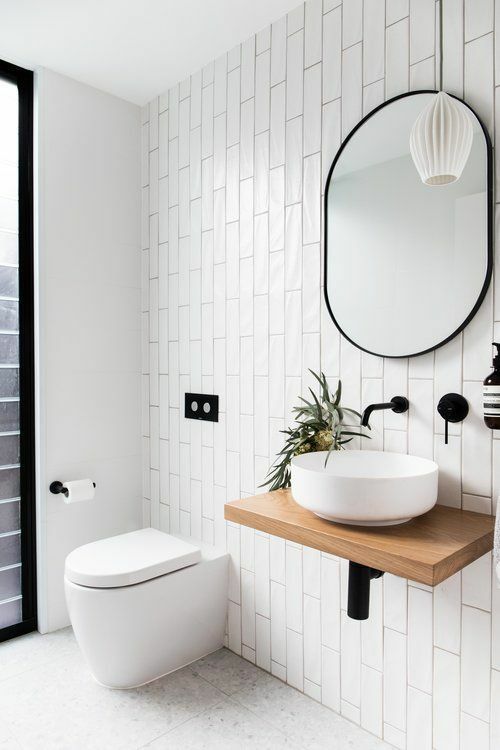 Whether small and compact or wide and expansive, your bathroom can be an effective way to tie various elements of your design preferences all together. 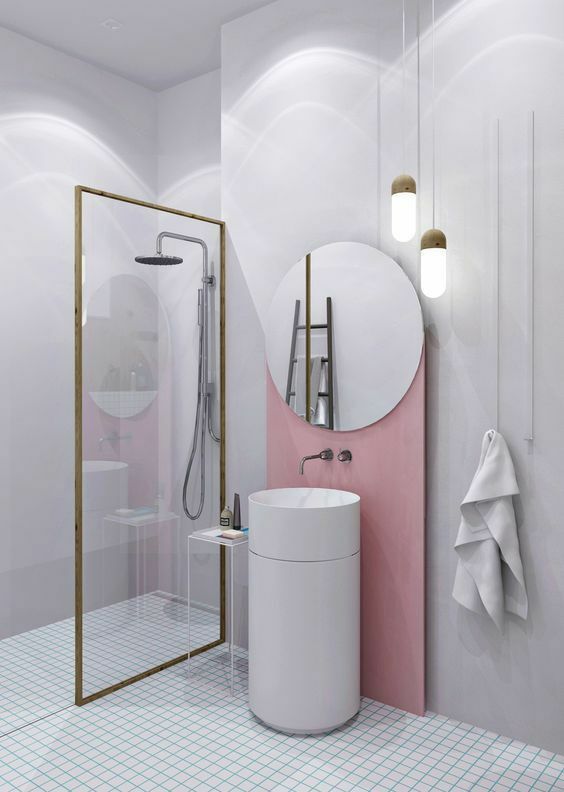 From the minimalists to the extravagant design aficionados, bathroom designers of 2019 have compiled the hottest trends around the world that will meet anyone's taste. We took a close look at the ins and outs of what is trending so you can see what might work for you! 1. Bathroom or Lounge? Or Both? Can you say happy hour in the shower? The latest showers are equipped with mini-fridges where you can store an ice-cold beer or glass of wine... or perhaps just a room-temperature bottle of water. Continue the party as you lather up by enjoying smooth jams through waterproof. From voice-activated lighting and temperature controls to interactive mirrors and televisions, your bathroom will double as your new favorite hangout spot. Out with the grey, in with the black! 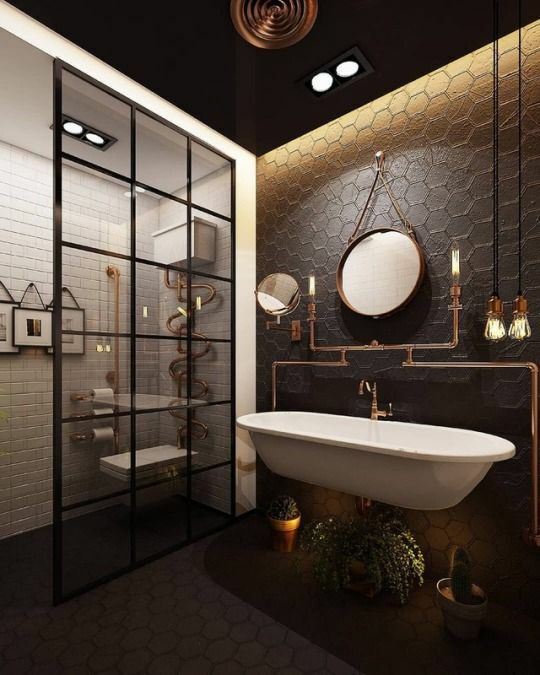 As a nod to the 60's Modern Era, more homeowners are choosing to outfit their bathrooms in darker hues, specifically black. Newer bathrooms will have midnight black countertops and accents complemented by stark white vanities and framed mirrors. They say trends are cyclical, but in this case, black will always be in style. The worldwide industrial revolution first began in the 18th century, but did it ever really stop? We think not. For 2019, expect to see plenty of bathrooms featuring metal and wood accents. 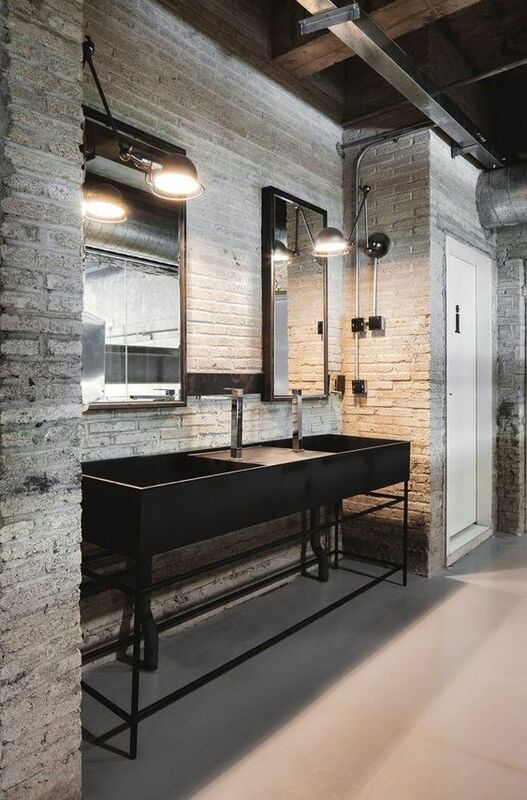 Industrial home decor pieces, especially in the bathroom, tend to highlight intricately-designed vanities, rustic cabinetry, and vessel sinks. Featured finishes include oil rubbed bronze and antique rubbed bronze for an ode to older, simpler times. Don't worry about jinxing this trend; it's likely here to stay. That homey feeling that wooden accents provide will be easily transferred into your new favorite bathroom. Pair wooden walls or vanity frames with gold or bronze faucet finishes for a soft look, or go against the grain by contrasting with chrome or stainless steel. Since wood is a neutral, you can't go wrong by incorporating this trend into your bathroom renovation. 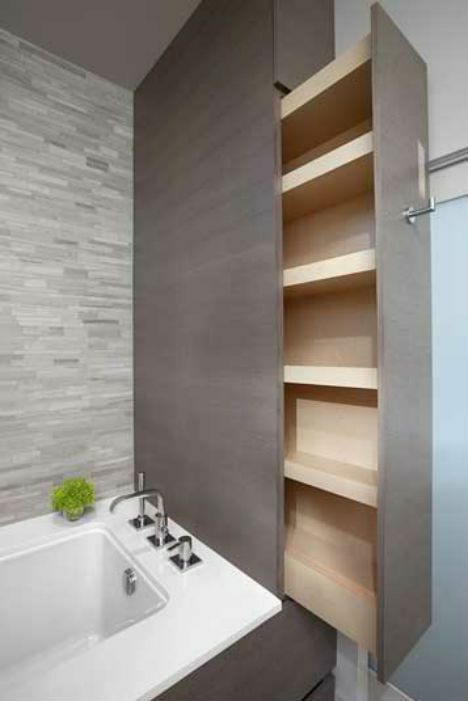 Those with tiny bathrooms (think city apartments or powder rooms in a house) can rejoice: sneaky storage is now in vogue! Compact storage compartments such as slender cabinetry and discreet drawers will make your lives significantly more manageable. Feel free to live large in a small space. 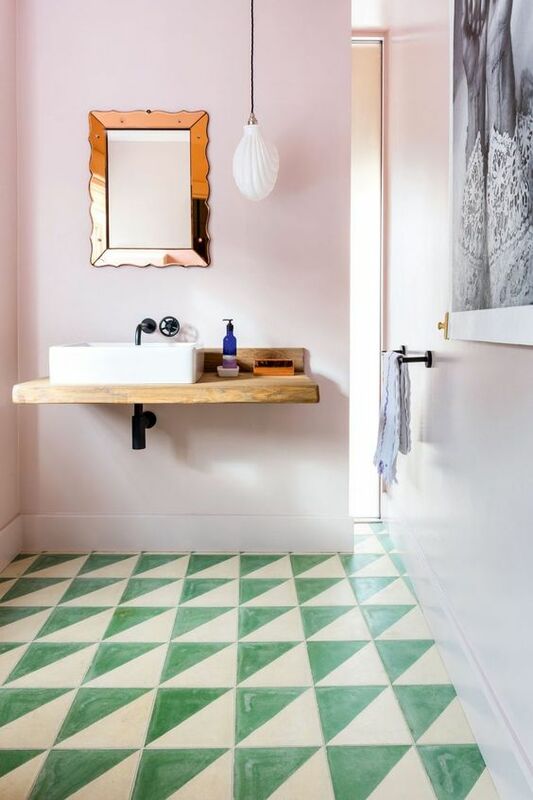 Gone are the days where tiles were relegated to just one square shape. This year, hexagons and diamonds will take center stage. Explore the many geometric possibilities that tiles can offer. Use them for a backsplash, ceiling cover, flooring, or your shower. Get creative with materials as well. In addition to traditional ceramic tiles, wooden tiles are also having their moment. Wondering what colors are in for your bathroom? Newer trends are steering away from the pinks and coppers and moving more towards earthy tones, such as forest green, charcoal, and beige. Metallic patterns include black, white, silver, and brass shades. Two-toned appliances are also coming into the spotlight. Faucets with matte black handlebars and bronze spouts provide an exciting alternative to traditional single-hue designs. Or anywhere, for that matter. While mirrors used to only be found attached to square or rectangular vanities, they are now at the forefront of many bathroom designs. Explore wall-mounted mirrors in a variety of circular, square, rectangular, or even asymmetrical shapes. New, high-tech mirrors are equipped with fog-prevention technology and can connect with smart devices to chart your activity. Finally, for all cosmetologists out there, choose a mirror with backlighting options so your makeup can be as flawless as your bathroom.